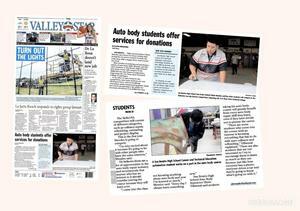 San Benito High School Career and Technology Education automotive technology class featured in the Valley Morning Star. San Benito High School Career and Technology Education automotive technology class was recently featured in the Valley Morning Star. Great story about these amazing students and the SkillsUSA Club.